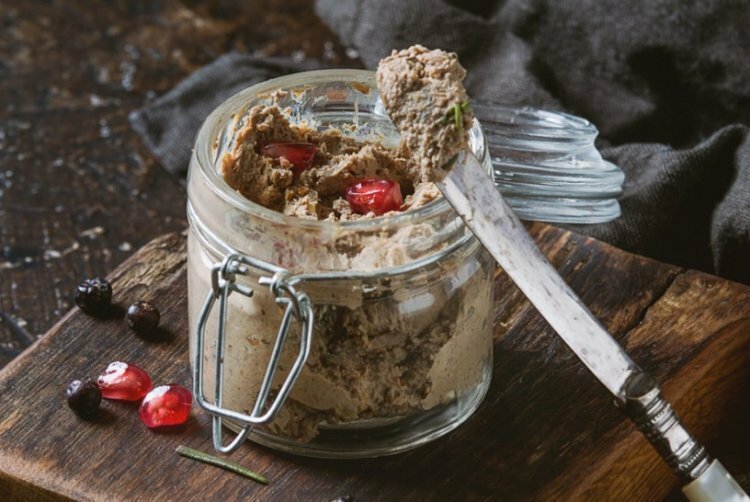 Chopped liver is a dish as Jewish as you can get (up there with bagels and lox!) This is a great recipe for Passover. Simple and delicious! Kosher the liver by broiling it on both sides and salting it lightly beforehand. After koshered and cooled off cut into cubes. Boil and peel the eggs, cut onions into quarters. Heat up frying pan with the olive oil and fry your liver cubes the onion quarters and the whole hard boiled eggs for a few minutes until the onions turn golden brown. Chill mixture and then grind it all together. If there is oil left from the frying you can add it into the mix.